DAYTONA BEACH, Fla. (March 12, 2018) – With fresh American Flat Track contingency offerings from Suzuki and KTM, AFT’s contingency pool is now approaching $3 million, by far the largest in series history. Suzuki’s contingency for AFT Twins presented by Vance & Hines is massive, totaling just over $424,000, and includes the V-twin power plants from the popular SV/DL650 and SV/DL1000 models. 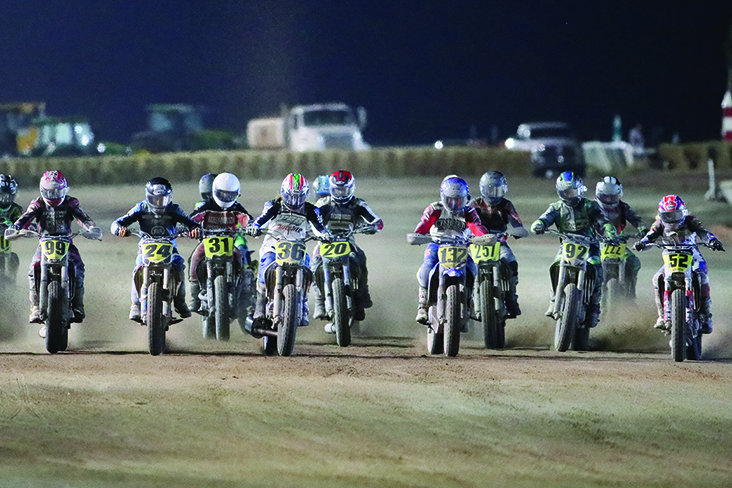 In AFT Singles, riders such as DAYTONA TT-entered Team Hammer’s Jake Lewis and Nick McFadden – and others – competing aboard the company’s RM-Z450 are eligible for a whopping $171,500 in payouts, including an impressive $5,000 for each win in the class. The total contingency pool posted by Suzuki totals $595,500 and represents the largest combined OEM posting in series history. KTM’s contingency offering for AFT Singles riders such as Dan Bromley, Sandriana Shipman and others totals $56,300 for 2018, and includes 2016-2018 KTM 450 SX-F models. An AFT Singles championship bonus of $5,000 is also included in that generous amount.